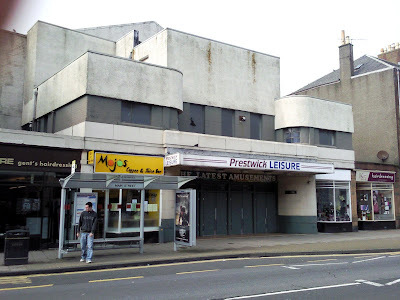 J&E Shepherd Chartered Surveyors is inviting offers in excess of £850k for a former art deco cinema in Prestwick representing a prime town centre development opportunity. Located on a third of an acre site at 80 Main Street, Prestwick, a prominent location in the main retailing area of the town, the 7700 sq ft property is suited to a variety of uses subject to planning. Markus Kroner, surveyor at Shepherd’s, said: “This unique development opportunity comprises a former cinema building designed in the art deco style dating back around 70 years with the front section formed over three storeys and with a large auditorium to the rear. Car parking and delivery space is available to the rear of the premises. J&E Shepherd, one of Scotland’s leading firms of chartered surveyors, valuers, property agents and managers, has been established for over 125 years and operates from a network of 28 offices throughout Scotland and over 75 locations throughout England and Wales. The firm offers a multi disciplinary property service to include valuation, sales and lettings, building surveying, rent reviews, development and investment consultancy, rating and property management. For further information please contact Markus Kroner tel 01292 267987. There are currently 413 Ayrshire business stories permanently archived on this site. To locate those of most interest to you, please use the site search facility in the top left hand corner of this page. Type your search term in the white box, then click “SEARCH BLOG”.